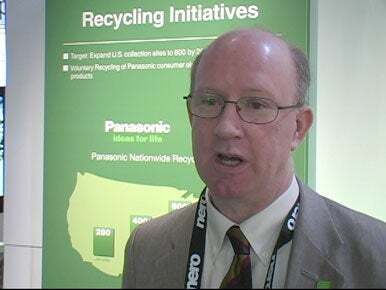 Most TV makers fail recycling test in U.S.
Sharp, Toshiba and Panasonic began offering the program last week through their joint company, Electronic Manufacturers Recycling Management (MRM), at 280 collection points in the U.S. There are at least two drop-off points in most states but in some, including North Dakota, Wyoming and Virginia, there is only one. “We have plans to grow this collection network overtime and we’ll go from 280 to 400 to 600 to 800, that’s our goal at this point in time,” said David Thompson, president of MRM, in an interview. Those expansion plans envisage 400 collection points open by the end of 2009, rising to 800 by the end of 2011, he said. “We’re also establishing MRM as a collaborative platform where manufacturers can hopefully come together and share the cost of collection infrastructure and once we do that and minimize that cost or minimize that cost we’ll have an opportunity to expand the network even greater,” said Thompson. He said MRM is also committed to recycling “properly” and won’t use prison labor or send goods overseas.